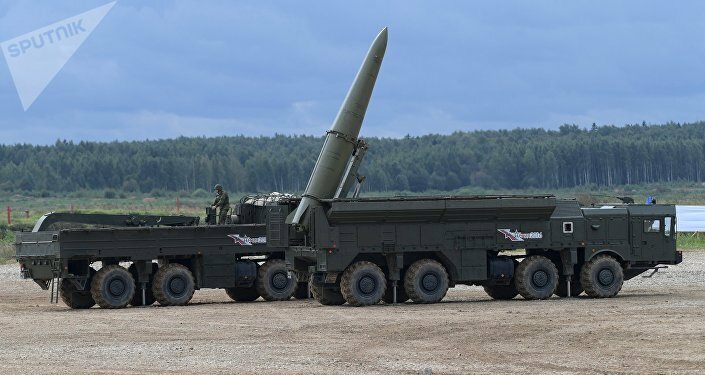 The developer of the Iskander-M has shed the light on the weapons' compliance with the INF Treaty between Russia and the US, as well as spoke about the ballistic missile system's capabilities. KOLOMNA (Sputnik) — Russia's Research and Production Corporation Konstruktorskoye Byuro Mashynostroyeniya (RPC KBM), known as the developer of the Iskander missile systems, takes the limitations imposed by the Intermediate-Range Nuclear Forces (INF) Treaty into consideration when developing new weapons, the company's general designer said Thursday. "We take into consideration [the provisions of the INF Treaty] very carefully and take steps in order to avoid any quibbling," Valery Kashin told reporters. The KBM official added that the company had been significantly hit by the decision to discontinue production of the OTR-23 Oka missile systems even though they did not fall into category of weapons banned under the 1987 INF treaty, which prohibits the development, deployment and testing of ground-launched ballistic or cruise missiles with ranges between 300 and 3,400 miles. He also spoke about the Iskander-M tactical ballistic missile system's capabilities, saying that it can fire seven different types of missiles. "Even after completing the state testing of the system, in 2012, we realized that we had not exhausted all the potential of Iskander, we have been continuing development of new missiles. Iskander-M is now equipped with seven types of missiles, and may be even more," Kashin said. 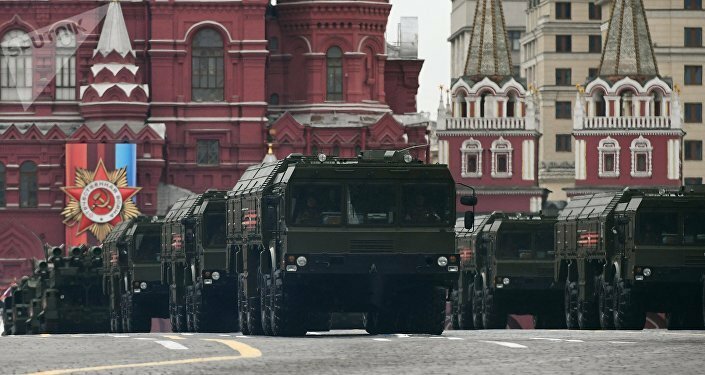 The Russian Defense Ministry has approved a plan to modernize the Iskander-M, which is expected to be in service in the Russian army in the next 20-30 years, he added. "We want to move forward, so we have now prepared the proposal to the Defense Ministry, it is now being approved and in general, it has already received a nod. It is not necessary to start from scratch, we must work to develop the existing capabilities of the system. Iskander will exist for a long time. It is clear it should live for another 20-30 years, the demands and tasks will change, and it must be able to solve them adequately," KBM chief said. The Iskander-M (NATO reporting name SS-26 Stone) is a mobile short-range ballistic missile system designed to destroy a wide variety of ground targets at a range of up to 500 kilometers (over 300 miles). At present, the supply of Iskander-M brigade-size sets to the Russian army is being completed, under a contract signed with the Defense Ministry in 2011 (the whole agreement provides for the supply of 10 brigade sets).